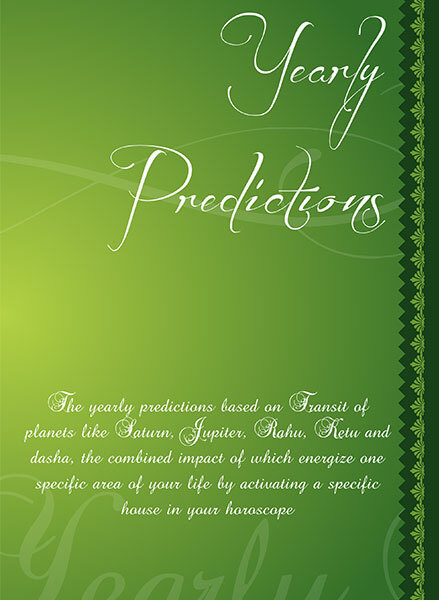 Matching Horoscope contains Milan Kundli + Matching Predictions related to nature, finance, health, children & in-laws. 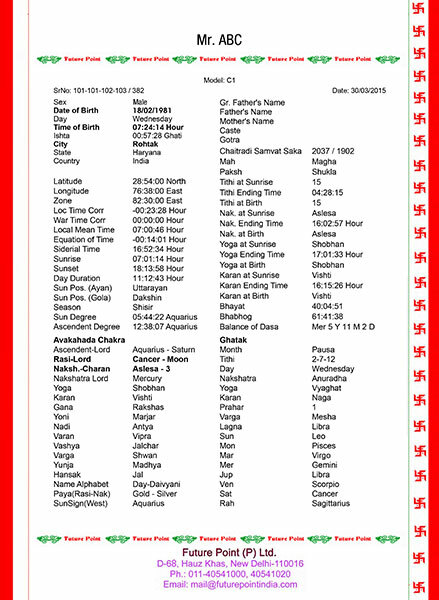 This 11-page matching report gives Birth - Details, Planetary Degrees, Lagna Charts, Moon Charts and Navamsa Chart of both male and female natives. It helps one understand the true meaning of their companionship, along with what highs and lows they would have together as a couple. 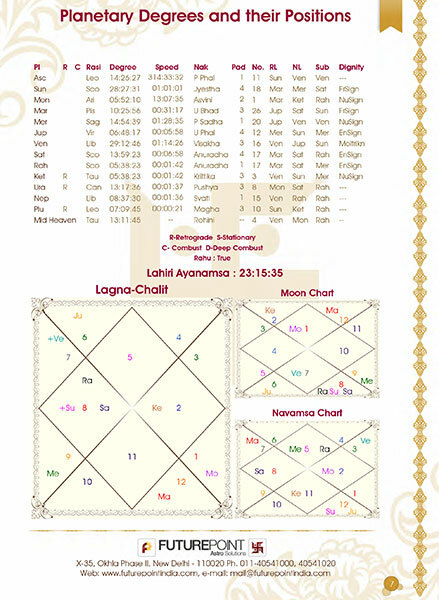 Calculation of Birth Chart, Moon Chart, Navamsa Chart - Important charts of both to get an idea about the strength of horoscopes. 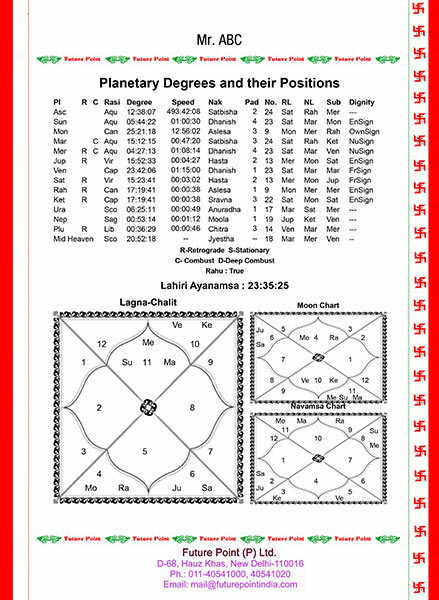 The Milan Phal Report is a concise report that calculates and analyses the Kundli or the birth chart of the couple and gives a brief insight into their future together. 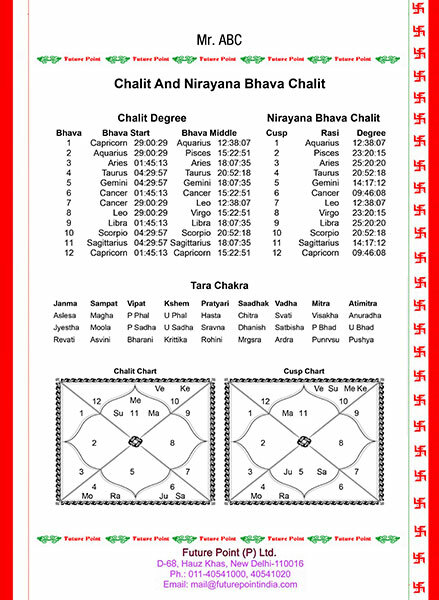 Those tying the knot are going to be married soon must follow the advice of Top Astrologers and go for Kundli Matching to know what they can expect after their marriage. 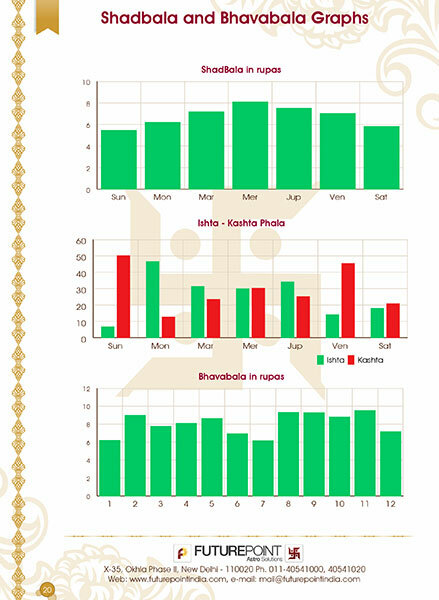 Stop waiting around and get the Love Compatibility Score calculated with your partner through the Milan Phal Report.